We have a big family and a lot of our time is spent indoors – whether our kids are going to school and we’re working from home or everyone is on their electronics and relaxing. The time we’ve spent outdoors as a family has been fun with memories created and bonds developed! 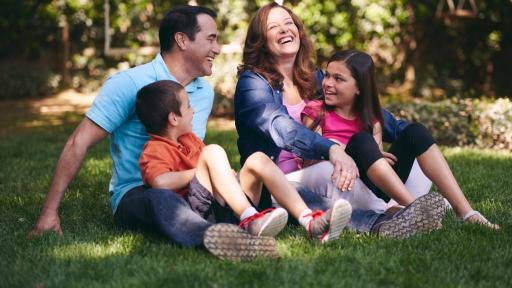 We enjoy our time as a family outdoors with BBQs, throwing NERF footballs, playing on the Slip ‘n Slide and more! Spending time outdoors is a great way for families to bond and grow deeper connections. TruGreen, America’s #1 lawn care company, wants more families to get outside this year and enjoy their lawns! TruGreen believes more life should be lived outside and they help by setting the stage with a beautiful lawn. I mean, think about it, wouldn’t you enjoy your backyard more with a gorgeous green lawn then a dried out, brown lawn? I know that my family and I definitely would! As I mentioned earlier, both my wife and I work from home. 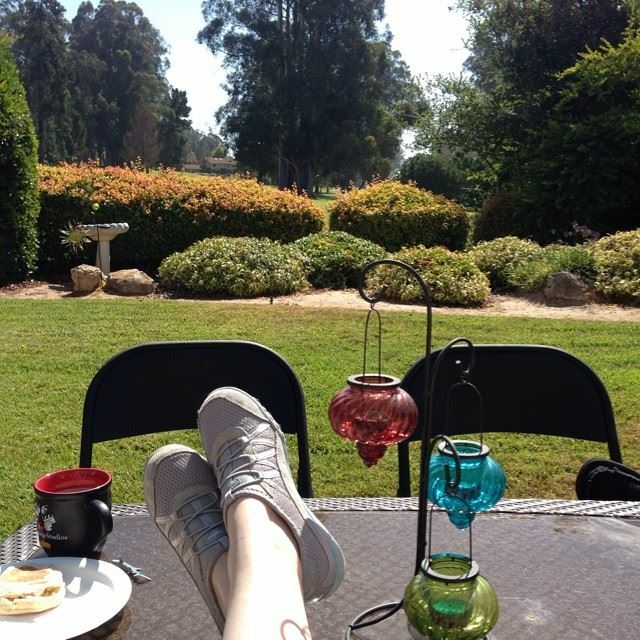 Sometimes it’s nice to just head outside, enjoy some breakfast and work from our outdoor couches. We have a beautiful view of our green lawn and the golf course beyond the bushes lining our backyard. My wife is also a blogger and snapped a picture of her working from our backyard. Can you tell how relaxing and enjoyable it is sitting in our backyard? A beautiful lawn inspires memorable connections and bonds with family, friends, neighbors and communities. I don’t know about you, but when we’re outside, we tend to be happier, more fulfilled and more connected. With our lives becoming increasingly digital, it’s easier to become more distracted from the fresh air. TruGreen is committed to reminding Americans of the benefits of being outdoors. Not only are there physical and emotional benefits, but there are also fun times and bonding experiences that await them on the other side of their door. TruGreen believes more life should be lived outside. There we are happier, more active and more connected with ourselves, with loved ones and with nature. To better understand how Americans associate with being outside, TruGreen conducted a national survey. The results provide insight into not only how we spend our time outside, but also how we think about our outside life. TruGreen Spokesperson Jason Cameron provides a review of the survey results in a new video. – More than half of Americans surveyed said they want to spend more time outside, and 68% say they are spending less time outside compared to five years ago. This shows the tendency that we aren’t going outside into the fresh air as much as we’d like to – or even as often as we should – for a healthy balanced lifestyle. – 87% of Americans said that if everyone spent more time outside, there would be great health benefits and long-term benefits for society. – Based on the study, it appears that Americans are putting down the cell phone for a pick-up game of ball! 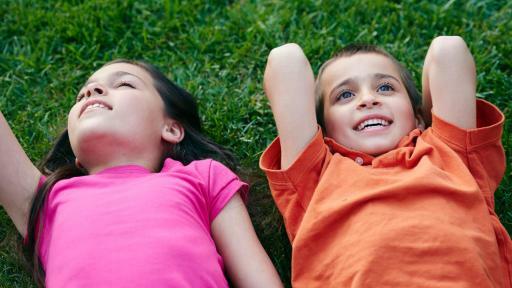 92% of those surveyed said it’s important for children to replace video game/internet time with time outside. 72% also said it’s important for themselves to replace video game/internet with time outside. This reflects the belief that while our lives have more digital distractions keeping us indoors, there’s no technology that can replace our healthiness and happiness with a life outside. – Americans spend an average of 309 hours in their yard per year. This is close to two weeks of getting outdoors and enjoying the fresh air. 86% who are lucky enough to have a yard consider this green space an important part of their life. Yard owners spend an estimated 50 hours more per year outside than Americans without a yard. Interesting finding: Men spend an estimated 26 more hours per year in their yard than women. – One third of homeowners said they spend more time outside because they have an improved yard. 46% of all Americans surveyed said if they had a greener, more maintained and healthier lawn, they would spend more time outside. – Three out of five Americans agree that their yard is their favorite place at home to spend quality time with family. Two-thirds of Americans said their fondest family memories involves spending time together with friends and family in their yard. Memories often involve fun times with barbeques and cookouts for more than four out of five Americans (82%) hosting these get-togethers. Be sure to check out TruGreen’s fun sweepstakes going on right now! Do you find that the quality of your lawn affects how much time you spend outdoors? 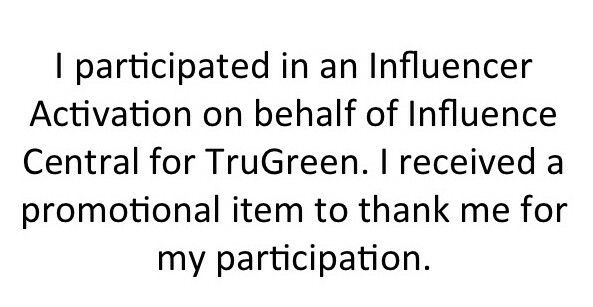 I participated in an Influencer Activation on behalf of Influence Central for TruGreen. I received a promotional item to thank me for my participation. 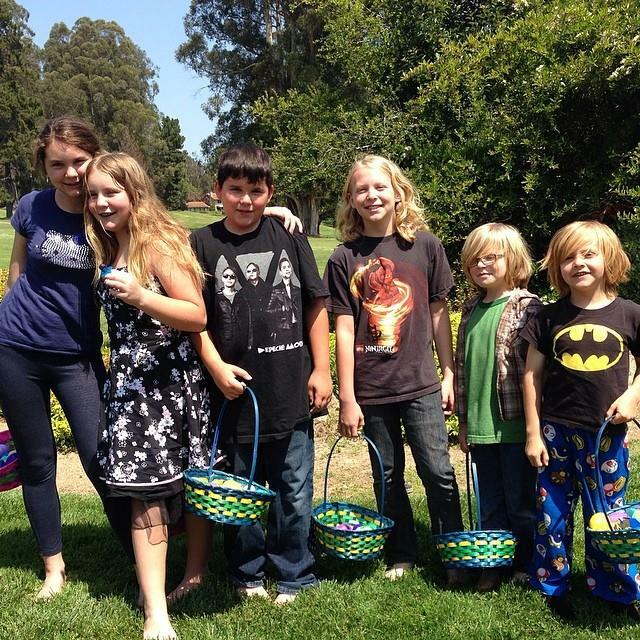 My fondest memories of my family were spent outside, especially when the grandkids were little. A nice yard a green lawn all help to make those memories special.